Until late last year, one could define me as a couch potato. Thanks mostly to genes, I was never fat, but neither was I (almost) ever fit. 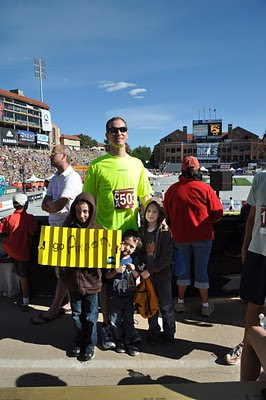 Back in December of 2009, I thought about casually running the Bolder Boulder 10K, a goal which got replaced with the now-defunct Starwalker TV show half-marathon, and led to much more rigorous training. As it became increasingly apparent that Starwalker was not going to be a reality (show or not...), I reset my aim back at Bolder Boulder. With the guidance of Carl, my trainer, I gradually improved and ran faster and for longer periods of time. Following my training plan, the week before the race was a fairly relaxed week, consisting of a few shorter-than-usual runs to keep the mechanics going while letting the body rest. 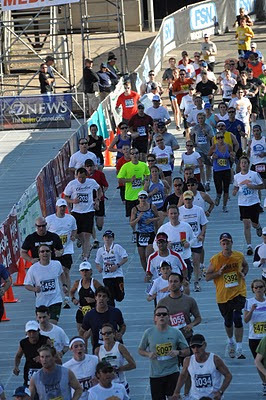 The race-day plan was to break the 50 minute barrier, running 8-minute miles. The night before, all excited about the upcoming race, I made sure everything was in order - the electronic shoe tag secured to my left shoe, the bib attached to my bright yellow running shirt (sponsored by Webroot Software, where I work) and my Nikon D90 camera paired with a long telephoto lens so that my wife can document my arrival at Folsom Field. 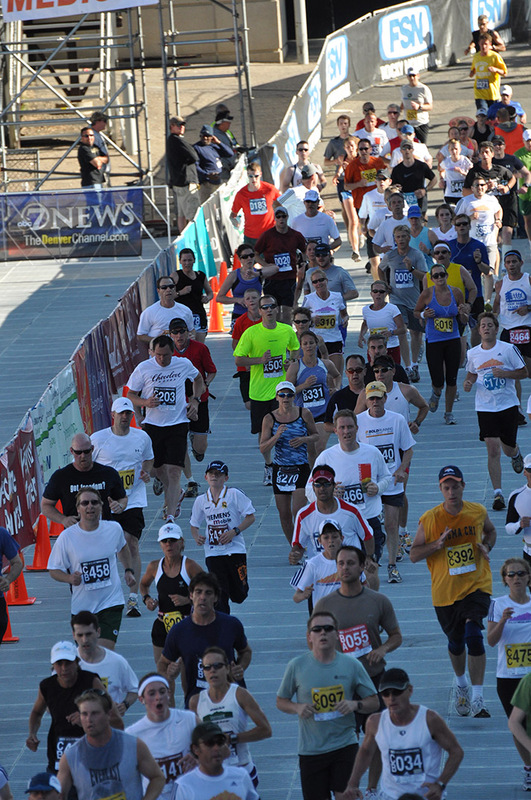 To accommodate so many runners (50,420) the race is partitioned into qualified and unqualified waves. Qualified waves require a result of a previous race, to minimize people being blocked by other people. Every runner has an electronic foot tag which enables individual timing from the moment a runner passes the starting point all the way to the finish line including timing every mile. I arrived at the starting point a bit late and left with the CC wave rather than the CA wave for which I was qualified based on the 5K race I ran on May first. My warm-up was jogging from where my ride (wife and sleepy kids) got stuck in traffic at about 6:50am on the way to the starting point. I knew I was ready. I did the training, I was determined and I even had the home advantage of training at the race altitude of over a mile. Though not easy, with the help of Dream Catcher (my Garmin GPS watch) showing my position relative to a virtual partner running at a pace of 8 minutes per mile, I followed through and ran at an average pace of 8:01 minute miles, achieving a result of 49:53.07. What's more lifting than family support? Bolder Boulder is definitely not the last race I will run nor is it an end for my training. It was a rewarding experience that will fuel my next endeavors, running and beyond. Congratulations on a race well run! You deserve it for all of the hard work you put into training. Good job! I didn't realize the Boulder Bolder was such a big race. It's huge. 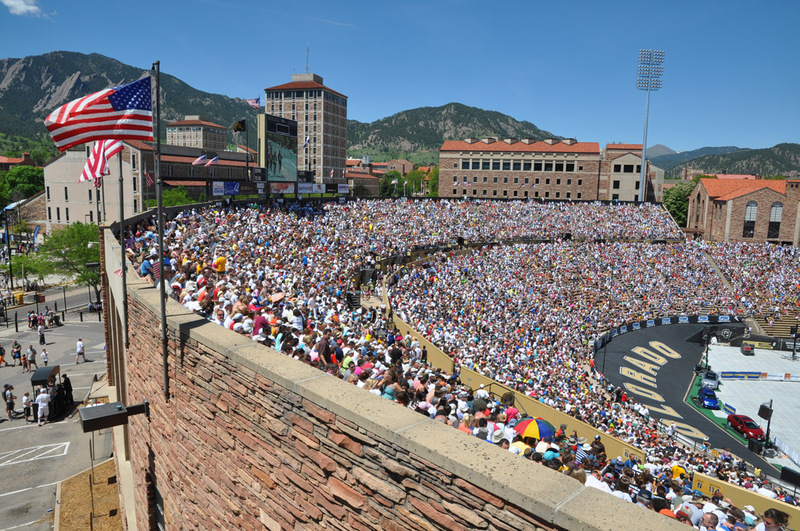 Definitely worth it to visit Boulder in the spring and do it.